The October Book Club is going to be at Markie Mark's...cuz we are going to do it around the fire pit! Yay! 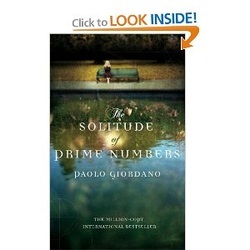 But he took Joanne's book suggestion and we are reading The Solitude of Prime Numbers. It is a little out of my comfort zone, but I am excited to read it and see what everyone takes from it. 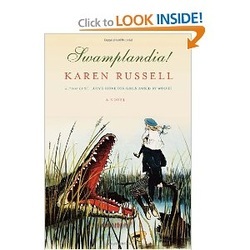 We are reading Swamplandia this month... it is Julie's choice and we will have a fabulous time at her house, I am sure. I have only read a few chapters so far, but so far so good. We had our book club last night and it was excellent! It was lively and some liked it, some hated it, some, like me, loved and hated it. Great times! Jules made the most delicious food. We had breakfast for dinner. The pancakes were divine and I didn't eat the eggs, but everyone loved them. Such a great time. I love my friends and I love our book club! Can't wait for October's gathering! The winter is such a great time for dinners and reading and discussing of books. Ms. Raegan has decided to take us superily into Sci-Fi Fantasy land with her choice of game of thrones! Not sure how this one is gonna go down...but guess we'll see Friday!! This was/is Markie Mark's book choice and I have shame to admit that I didn't read it before the book club. I had a lot of other reading going on right then and I just never got to it... But it is one my Nook and I do fully intend to right this wrong! Hopefully this summer!!! 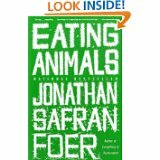 We have several pescatarians and meatatarians in our book club, so this should be a lively debate! I hope that everyone can make it to this one at Hunter's house! I haven't bought it yet... but I am excite! 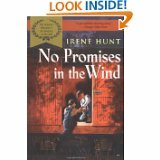 So we read the Young Adult novel No Promises in the Wind by Irene Hunt as our January book. Ms. Tsu picked it. It was a really good, quick read. 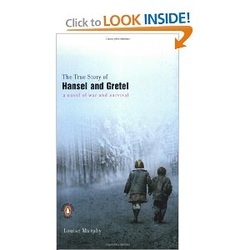 I had already read it when I was younger, but it was good to see how rugged the writing was and how it didn't shy away from some heavy topics and imagery. I feel like I side skirt some of that stuff in MS and I shouldn't. They are smart and get it and these things have an impact! I am going to see if I can get a class set of this for next year... maybe. 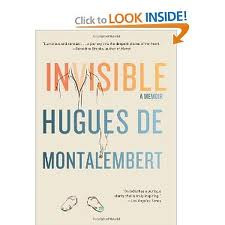 We had a quick turn around on our December Book Club book due to the holidays and all the traveling that folks do... so we read a short and sweet memoir: Invisible by Huges De Montalembert. It was about a man who became blind as an adult and his coming to terms with it. It was a really quick read but was pretty heavy at the same time. We really enjoyed it. We also did a white elephant gift exchange and ate the most delicious indian food that MKDM and RM made. Yum! We haven't selected January's book yet, but I am excited. I did get quite a few books for Christmas, so I have some reading to do! I was sick the night of the November book club, boo, so I missed the conversation. I am pretty sad about that. At any rate, I just wanted to vent some of the things that I thought of it when I was reading. First, I really thought that the whole book was over written. He is an NPR writer and presenter and he writes like he is. He uses popular NPR phrases like "all things considered," "on the other hand," and "in hindsight" a lot. Each paragraph was crafted to be so interesting with so many adjectives and adverbs that it got a little overwhelming at times. However, his research and the ideas he brought up about different mindsets in different countries about happiness, what it means, and its importance in a person's life was very thought provoking. At one point, he asks the reader to rate themselves on the Happiness Scale. I gave myself a 6 and then he said, what would make you more happy? And when I thought about it in that way, nothing... I was really more or a 9 or 10. I have a wonderful husband, an adorable healthy son, a house, 2 running cars, a great job with a wonderful professional community, I have the best friends and family that a person could want. Everyone loves and supports me in all of my endevours and Tenz has been showered with love and support since the day he was born. In reality, there isn't anything I actually need or even really want. There are some physical things that may be nice to have...or things that I would like to accomplish personally. But honestly, I have everything I could ever dreamed I wanted. There are troubles and worries of course, but they are minor in comparison to all the great things in my life. So, all things considered, reading Eric's book was a big impact on my psyche and that alwasy has to be a good thing, no matter how you felt about the actual writing. UPDATE! November 8th - This book is very overly written. It is pretty formulaic... But at the heart, a very interesting topic. I am not quite done, but I will admit that it has me thinking about happiness and how lucky I really am. 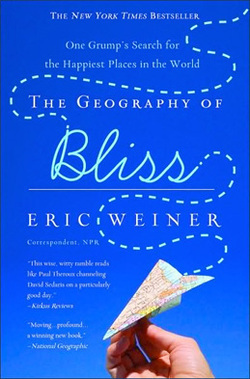 For November, we are reading The Geography of Bliss by Eric Weiner. It is a little different from anything we've read before...I think that is good. I haven't been able to find it for my Nook yet, well, under a million dollars. But I am still hopeful. My friend and I started a book club about 2 years ago and it has been fun. But, we have lots of talks of books that we don't get to, and then we all forget. Plus, a year out, we kinda need to review what we have read. So, this page will serve as our reference and I'll try and update it after each BC meeting so we know which books were discussed in case we want to read them on our own. I'll start with a review of the books we've read, that I can remember. There are a few that I am remembering the stories but not the books...so I will add those as I think of them.